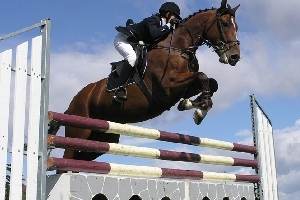 Our school offers clinics involving different subjects related to the equestrian environment. Internationally renowned trainers, as well as instructors certified by our school are in charge of these programs. The clinics are open to the public in general, lodging and food services to ensure the commodity of our assistants is available, as well as preferential fares with local hotels. The clinics are imparted in our facilities or on the customer’s facilities if required. The size of the group, location, and duration of the course, are determined by request. In addition to the practice with horses, we also teach theoretical lessons to complement the learning process. At the end of each clinic, participants obtain a certificate with curricular value. Some of the topics covered in clinics are: Basic Horseback riding, Classical Dressage, Show Jumping, Equine Assisted Therapy, Horse Harness, Veterinary, Horse Tack, Coaching with horses, Liberty horsemanship, Roman Riding, amongst others.